yesterday i posted a photo to instagram that jay emailed me of his fun afternoon with mila while i was at brunch with some friends. 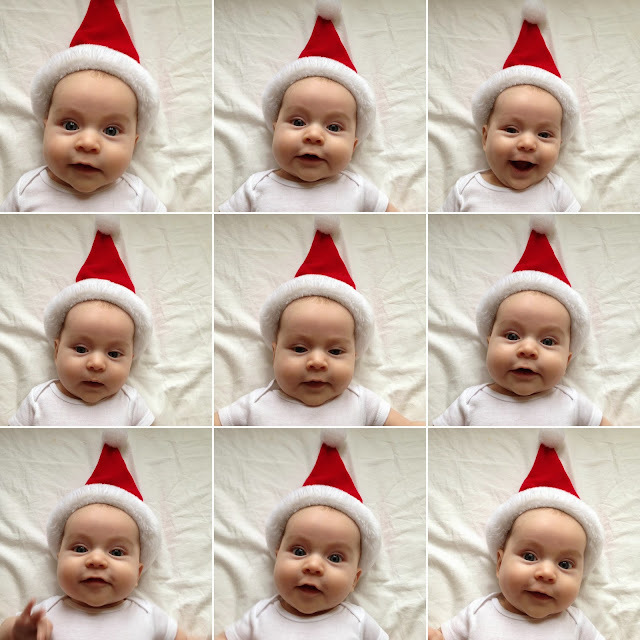 it was a pretty cute photo of m in a santa hat. simple, happy and sweet. i hadn't noticed the photo during breakfast so it wasn't until i got home to see m napping on jay and jay asking "did you see it?" not sure if it is just the holiday season, our new sweet babe, or the fluctuating hormones still kicking around but i started to tear up the moment i saw it. there is just so much joy behind that face and of course behind the dad taking it. here is a shot of what our cloud looks like after their fun time together. i mean, nine times the photo equals nine times the cuteness right?